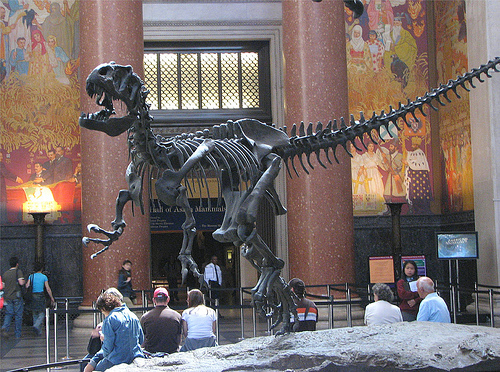 The American Museum of Natural History was the destination for students in grades five, six, seven, and eight. New York City traffic cooperated and the group arrived in time for their first show. They saw an IMAX movie that took them to the coast of Africa. They spent the rest of the morning exploring the many rooms and galleries of the museum. At lunch, students shared what they had been doing. This led them on a new adventure to find the exhibits that the others had already been to. The afternoon included a planetarium show. They learned about the life cycle of a star. This was not your average show. You felt as if you were among the stars and even experienced the vibrations of star matter changing through the centuries. The latter part of the day was spent exploring other museum exhibits. The bus ride home reverberated with the chatter of what they had seen. Many students said they were going to ask their parents to take them back again. Special thanks to the chaperones for their help and assistance on this day!